A SERIES OF EVENTS OF THE MOST FORTUNATE SORT! 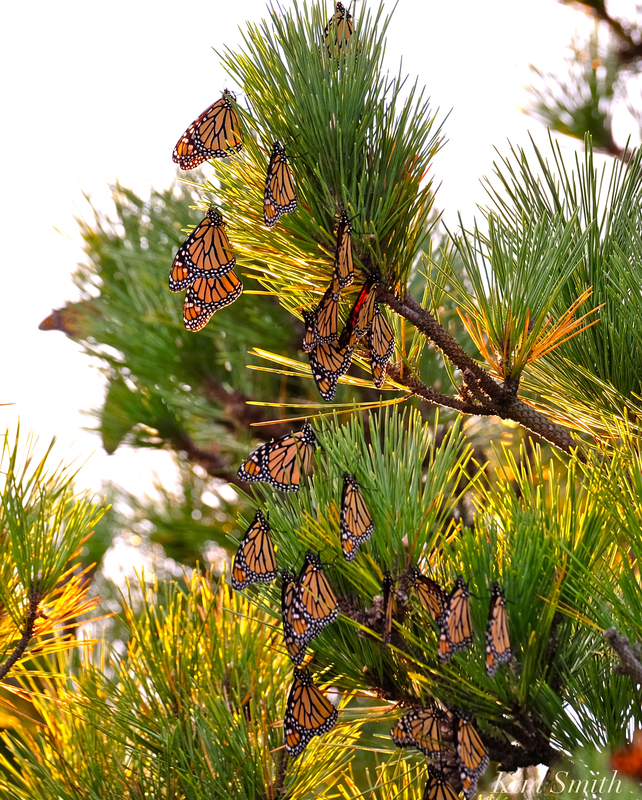 Monarchs flying into the trees to roost for the night. 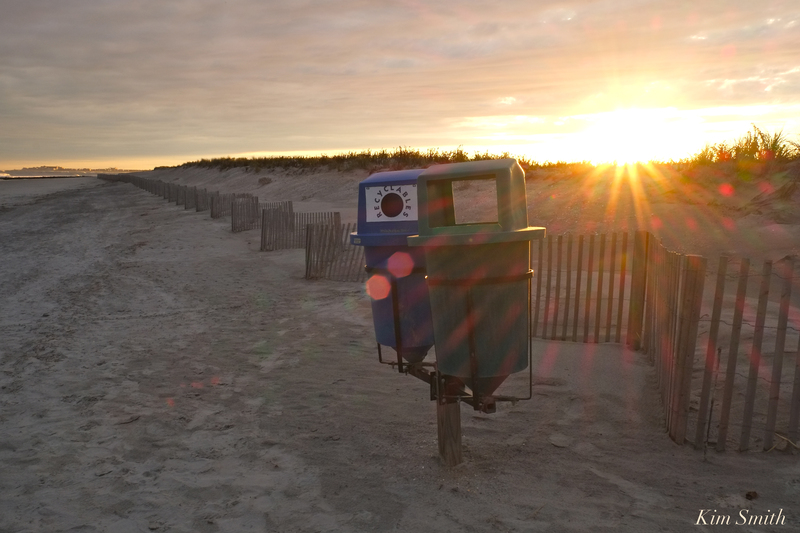 As I wrote briefly last, this past week I traveled to Cape May and Stone Harbor. 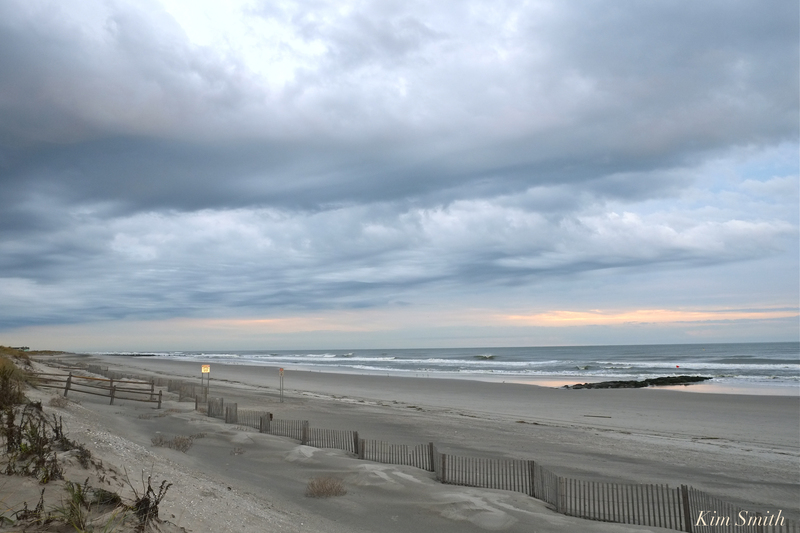 The coastline of New Jersey, as is Westport, Massachusetts, yet another region where the Monarchs are known to gather in large numbers on their southward migration. 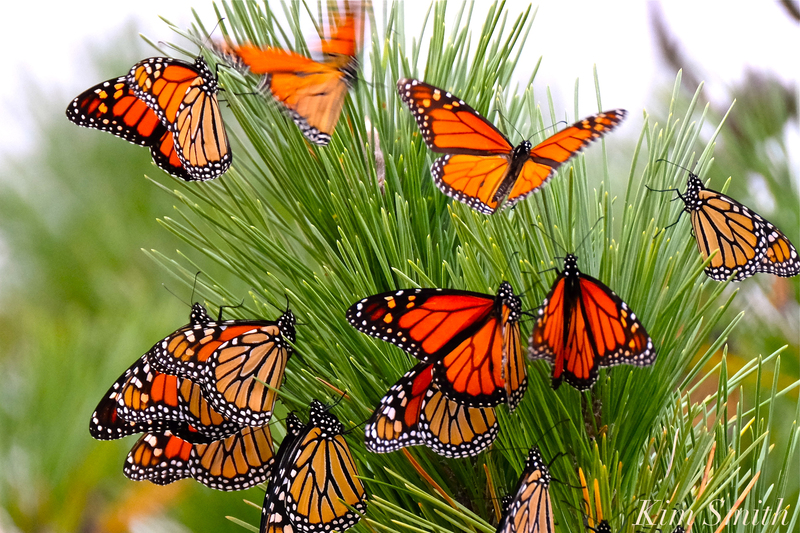 I was hoping to investigate and possibly capture some footage for my documentary film Beauty on the Wing: Life Story of the Monarch Butterfly. I was inspired to take the trip by sightings of Monarchs reported by my daughter Liv. Over the weekend she had seen quite a few on Coney Island, Brooklyn, as well as at Battery Park, located at the southern tip of Manhattan. Checking the weather report, I know that after a day or two of bad weather during the butterfly’s migration, the Monarchs are often seen in good numbers the following day. 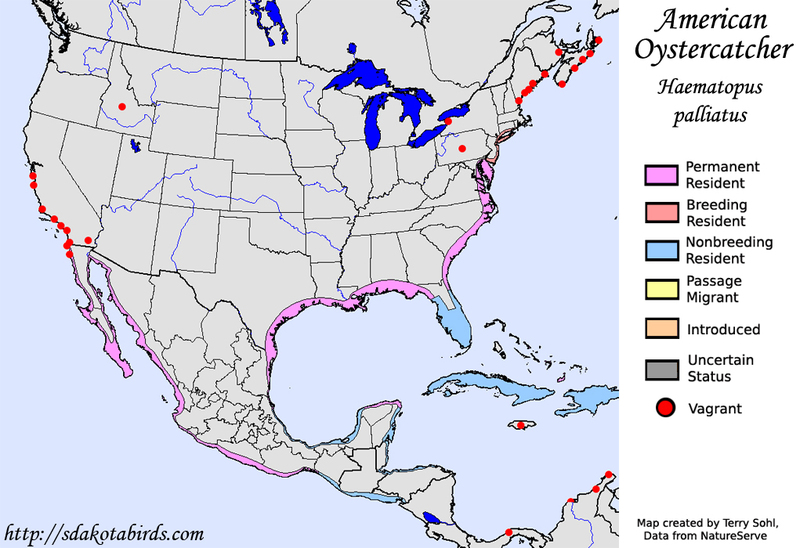 So Saturday and Sunday were great conditions for migrating Monarchs in NYC, Monday and Tuesday bad weather was predicted–in all likelihood no Monarchs on the wing–so perhaps, I thought by Wednesday the Atlantic coast Monarchs would possibly be moving through New Jersey. After the long drive Wednesday I arrived at Cape May at 3:00, with little time to spare. The skies had become overcast and the afternoon was turning chilly. Very fortunately, I arrived just in the nick of time to film a batch passing by the Cape May Lighthouse, located at Cape May Point. If I got nothing else, those first few minutes of the visit would have been well worth the time spent driving! I next headed over to Saint Peter’s by-the-Sea, a tiny charming church tucked on a side street where the Monarchs are sometimes seen, roosting in the trees on the grounds of the church. Only a few could be located. Very fortunately, a man pulled up and got out of his car near to where I was walking. He was obviously a birder, dressed in camouflage, a sun hat, sensible shoes, and toting binoculars around his neck. “Hello, sir, have you seen any Monarchs today?” I inquired. “No, he replied, yesterday yes, but none today.” A few minutes later he was joined by a whole slew of birders and, with unbelievably good luck, a few moments after that, one birder came running up, excitedly showing me a photo on her phone, exclaiming that numerous numbers were spotted further north, at Stone Harbor Point. “Find the parking lot, hit the dunes, locate the dirt road, and there you will find them, at the end of the road,” she said. Oh my, I said to myself, I’ll be looking for yet another needle in a haystack, this time in completely foreign territory, and, more driving. Happily, Google maps got me there in half an hour but by now it was getting very close to sunset. Miraculously, I found the butterflies! Ten thousand, at least. They were swirling around the dunes searching for tree limbs and shrubs on which to take shelter for the night. One tree in particular, an old Japanese Black Pine that was tucked at the base of the dunes, and out of the wind, was hosting thousands. Watching the movement of masses of Monarchs flying for me never ceases to be a magical experience and I filmed the butterflies well into the lingering twilight. 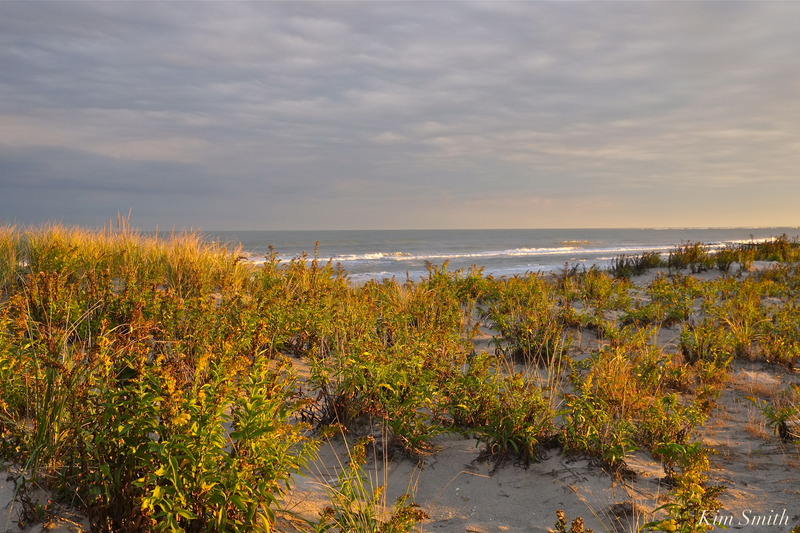 The afternoon had been cloudy gray and overcast, except for the last twenty minutes of the day, when the sun lit up the dunes and butterflies in tones of yellow and gold. I wondered as I was filming if these were the very same Monarchs that I had seen in a large roost at Eastern Point in Gloucester ten days earlier, or that Liv had seen in New York several days earlier. 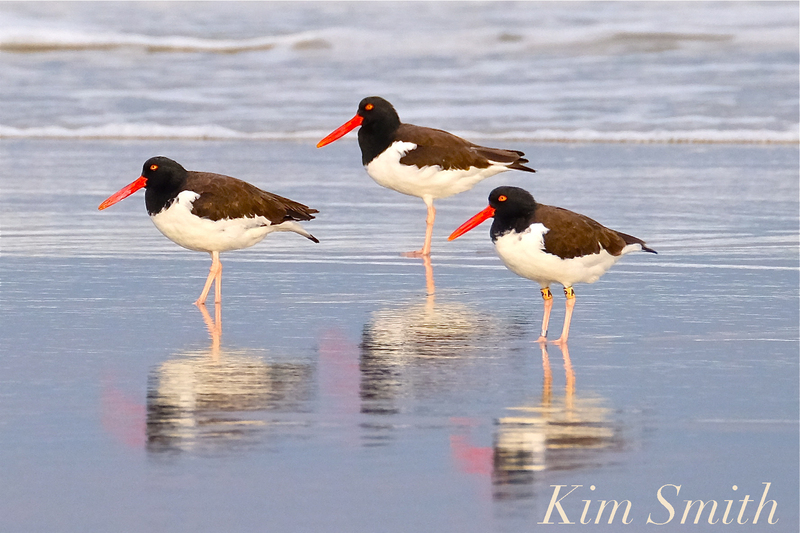 Located on the adjacent beach was a noisily chattering flock of American Oystercatchers, and I shot some photos and footage of these fascinating shorebirds as well, because migrating birds are an integral part of Beauty on the Wing. 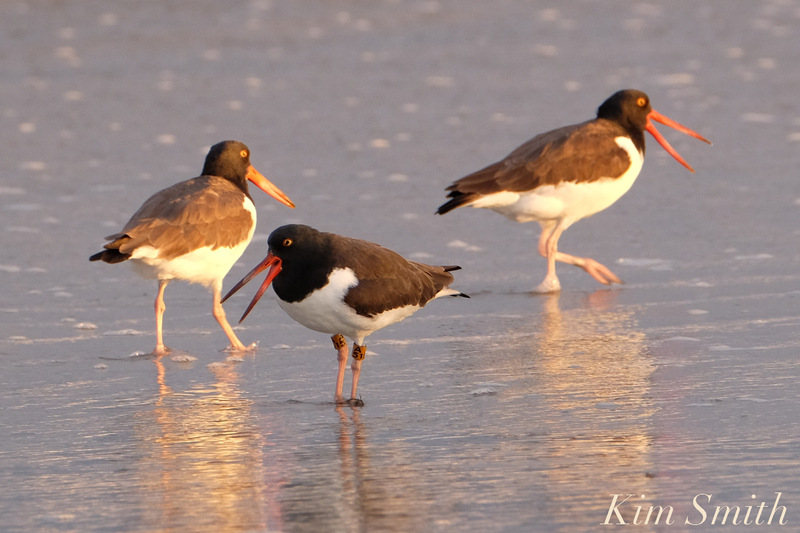 American Oystercatchers breed along the Jersey shore and the south coast is at the northern end of their winter range. As I was completely unfamiliar with the area, I had planned to be tucked into my cozy hotel room on the beach by sundown, under the covers with a warm dinner, recharging camera batteries and myself. But now it was pitch black, I hadn’t yet checked in, had missed lunch and was super starving, but worse, was out of gas and didn’t know where to find a gas station that was open this late in the season. 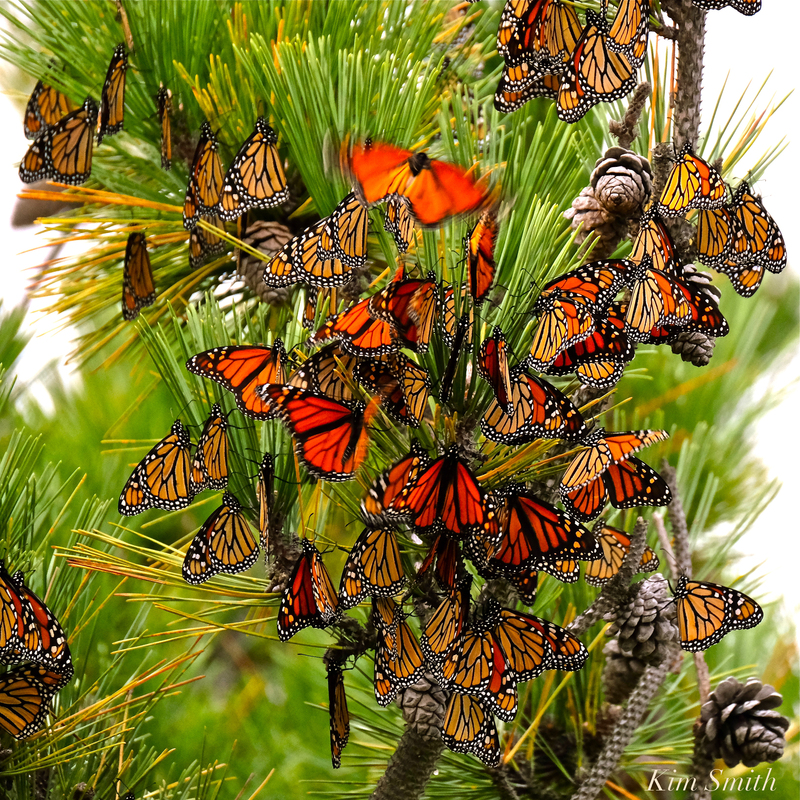 Some limbs of the Japanese Black Pine were covered in Monarchs and some limbs the butterflies were more sparsely spaced. This entry was posted in Monarch Butterfly, Monarch Butterfly Film and tagged American Oystercatcher, Cape Ann, Cape May, Cape May Lighthouse, Cape May Point, Danaus plexippus, Monarch Butterfly Migration, New Jersey shore, Stone Harbor, Stone Harbor Point on November 2, 2017 by Kim Smith.